Washington State’s watersheds scored a win this week as agricultural waste company, Regenis, installed the first phosphorous recovery system west of the Cascades at Edaleen Dairy in Lynden. This fine solids separation system, called a Dissolved Air Floatation (DAF) unit, removes solids in manure wastewater through a system that injects the tank with air bubbles and organic polymer, causing the solids to float to the surface where they can be skimmed off, dewatered, and stored. Meanwhile, the remaining wastewater can more efficiently be applied to crops, allowing dairies to better manage their nutrient levels as they irrigate their fields. 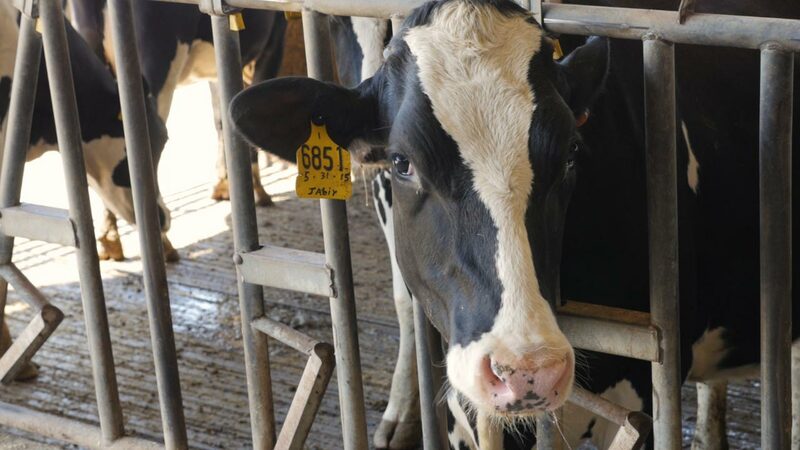 With the DAF, a dairy can remove 80-90 percent of the phosphorous and 30 percent of the nitrogen in the wastewater, according to Regenis’ Director of Research, Dr. Craig Frear. “That translates into a host of economic and environmental benefits,” he said. “After the solids are dewatered, you have natural fertilizer containing two of the most important nutrients for healthy crops along with several micronutrients. Not only is this organic fertilizer less expensive for dairies to transport to their fields, thereby saving fuel, but it also saves them the costs of importing new sources of chemical based phosphorous fertilizers which are unsustainable,” Dr. Frear said. “These solids can also create a new revenue stream for dairies by selling them to neighboring farms, which creates an exponential benefit for the local environment,” he added. The DAF unit was funded in part by a matching grant from Washington state’s Clean Energy Fund in 2016 as part of an emphasis on creating a more vibrant clean energy economy and a healthy environment throughout the state. It’s the second fine solids phosphorous separating system in Washington state (both installed by Regenis) and is one of only a handful in North America. Already the largest builder of anaerobic digesters in the Western U.S., Regenis has now installed four nutrient recovery systems on dairy farms, including the two phosphorous systems and two others designed to strip nitrogen in the form of ammonia from animal wastewater.